Shri Jagdish Singh Chauhan Memorial Society is the managing society of SRC Law College. It is an educational and social welfare society, established & registered in 2007 under the Societies Registration Act, 1860 with the main Aim & object to undertake and promote the education, training and development programs in all fields. 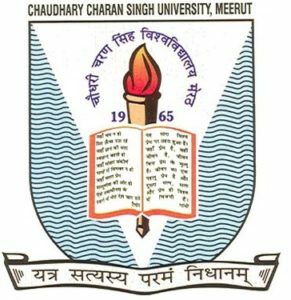 SRC Law College is permanently affiliated to Chaudhary Charan Singh University (formerly known as Meerut University), Meerut, established in 1965. Presently, it is one of the premier University of the country encompassing a vast, beautiful and pollution-free campus which sprawls over 222 acres of land having vast playgrounds and experimental fields, botanical garden, Gymnasium, Indoor Stadium, well equipped Library and rose garden with life-size statue of the late Prime Minister Ch. Charan Singh. The University has always been proud of its alumni who are occupying high positions of great responsibilities and distinction in educational and research institutions in India and abroad as well as administrative positions in the Civil Services, Defense and sectors. The success of the students of the university in NET, GATE, ARS, GRE and other examinations such as civil and administrative services etc. speaks the standard and quality of education provided by the university. SRC Law College is approved by the Bar Council of India, a statutory body established by the Parliament under the Advocates Act, 1961 to regulate and represent the Indian bar and also set/lay down standards for legal education and grants recognition to Universities whose degree in law will serve as qualification for enrolment as an advocate. SRC Law College is recognized by the University Grants Commission. The UGC has the determination & maintenance of standards in Institutions of Higher Education. It had notified regulations for the recognition of colleges under section 2(f) of the UGC Act, 1956. The College is bought under the preview of UGC in terms of these regulations as and when the proposals are received from the College for inclusion under Section 2(f) & they are found fit for inclusion as per the provisions contained in the Regulations.